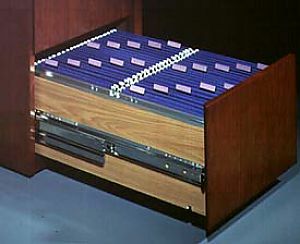 This heavy-duty file drawer slide is crafted with precision for desk and credenza box drawers, cabinets and millwork. It remains as one of our most popular slides due to its special hold-in feature which prevents bounce back. 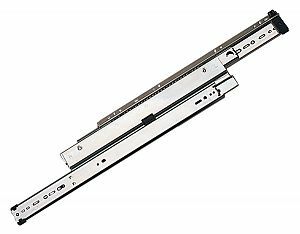 This slide operates on a metal ball retainer that provides smooth and quiet operation. 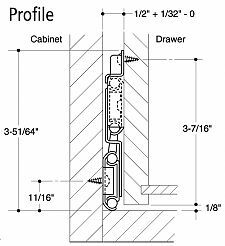 Recommended Use: Heavy-duty, precision slides for box drawer or pedestal file drawers up to 30in. (610mm) wide. 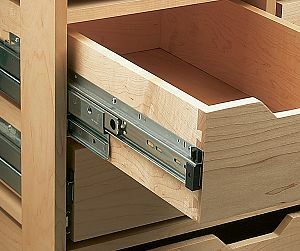 Features: Factory-attached drawer release clips with non-handed quick disconnect drawer members. Hold-in feature to prevent bounce back. Positive in/out stops, metal ball retainer holds 3 bearings per inch for smooth & quiet motion.